A new construction home in Noblesville Indiana is a great choice for buyers who want to move right in without worrying about updates or maintenance for a few years. New construction homes generally come with a warranty that covers defects and maintenance for a specified period of time. New construction can also meet the needs of buyers who want to personalize their home by choosing finishes, colors, etc. There is something for everyone when it comes to Noblesville Indiana new construction homes, from low maintenance condos in popular Chapel Woods, to stunning custom homes in prestigious Lochaven. 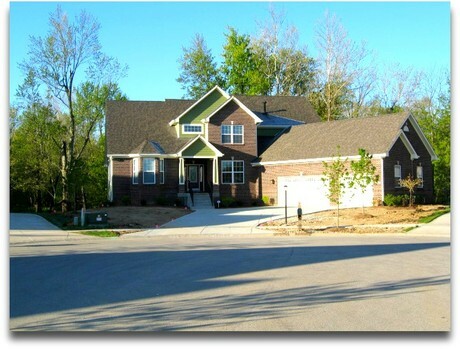 Below you'll find the latest Noblesville Indiana new construction homes for sale. This information is updated daily by our Indianapolis listing service - the BLC. To see more new construction homes, or any other real estate for sale in Noblesville and the surrounding areas, fill out the property search form above. When you sign up for this free information, you'll begin receiving e-mail alerts as soon as new homes that meet your criteria come on the market. You'll also be alerted to price changes for any homes you've already seen. Listing courtesy of M/I Homes Of Indiana, L.P.. Listing courtesy of Mint2sell Realty, Inc..